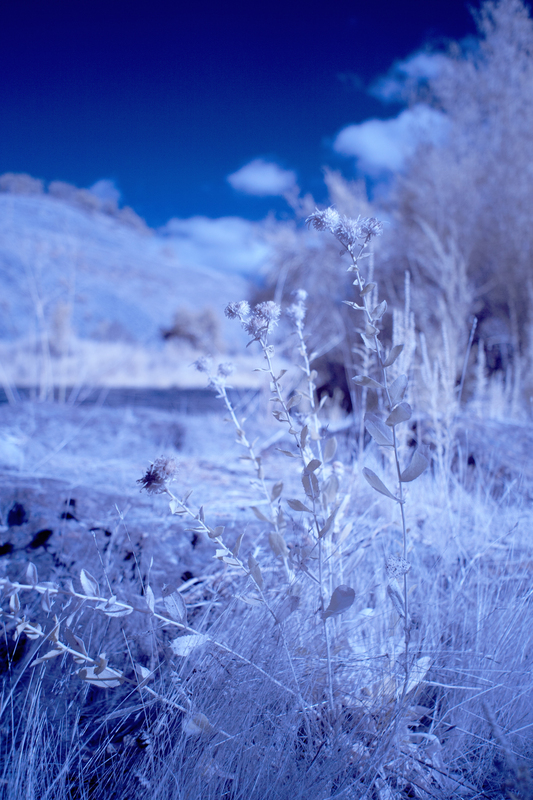 I made it out this last weekend to take some photos with my IR and UV cameras. I went on a field expedition with my dad to survey an area along the Tuolumne River where we found an ancient Miwok Village site. He is in the process of confirming with UC Stanislaus to see if this is a documented site to the state or if it is another discovery that can be added to the list. He has discovered several sites by reading Gold Rush Era publications and studying terrain on Google Earth. We found several bedrock mortars along the river. The Salmon Run is going on right now, which confused our Lab quite a bit. She could tell that there was something else in the water, but the fish weren't visible from the surface. First image is Alternative Processing with IR and the second is UV. 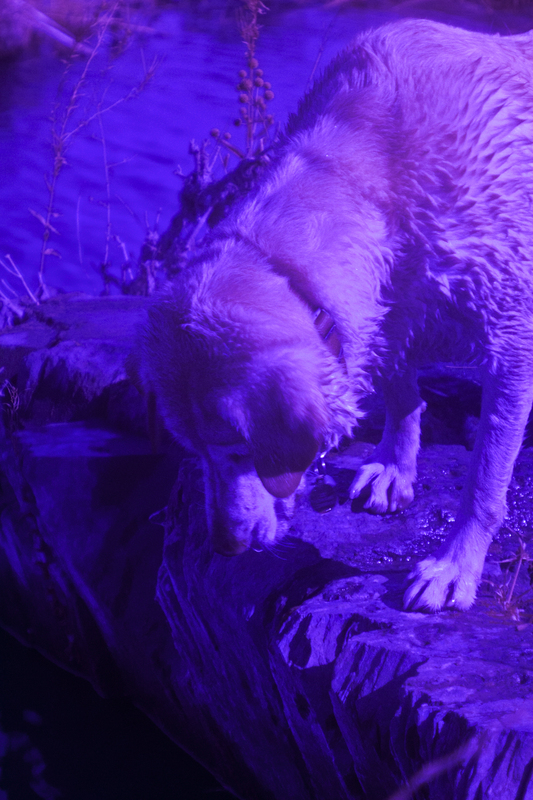 You will notice that the areas where the dog's fur is the most saturated with water is darker in the UV photo than in IR. I also took some comparison photos or flowers, moss, lichen, and rust in the above gallery. Each starts with the IR photo and then UV. I will have to do a water lily study one of these days in homage to Claude Monet. His eyesight suffered from cataracts and a side effect to his surgery was the ability to see Ultra Violet light. It is speculated that this is why he had a started painting things in cooler tones later in his career. A unique bedrock mortar formation was discovered along the Tuolumne River.